Your business is a great effort of yourself which needs special care and attention at every moment. Bookkeeping and accounting are two inevitable factors of business, especially owners of brand new companies who ignore this sector as it’s full of maths, expense tracking, filing taxes etc. This article gives you an idea about bookkeeping on a daily, weekly, and monthly basis to keep your books in tip-top shape. 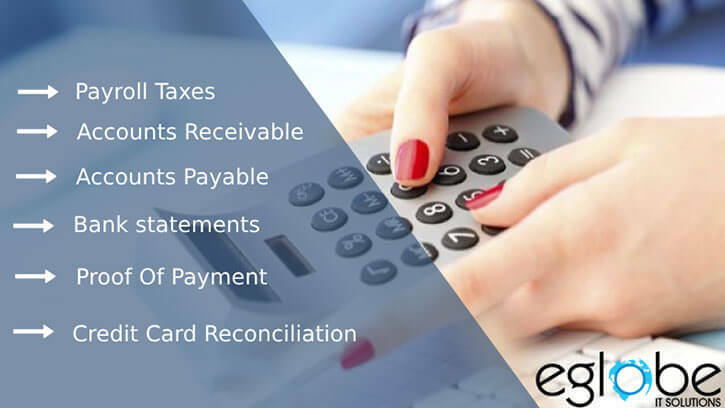 Track receipts for everything that happens in your business, figuring out which payments need to be remitted. It’s called the accounts payable or liabilities. It includes the receipt from the purchase of goods, all ads expense, transportation charge, packing charge and even your coffee meeting with a new supplier. Keep a specific folder for receipts and invoices in your office. For emails, if you tend to get them from specific senders such as from your software providers or goods providers or ads agents, you could set up a simple rule in your inbox to channel them all into a folder called ‘Receipts and Invoices’. Put a reminder in your mobile to do all this task. Attention: Your to-do list shouldn’t balloon in a huge weekly task. Cash flow defines the mode of spending money. For this, you should be aware of the income/revenue in your hand and then only your expense can be tracked. See, you may be having this much money in your hand. But that doesn’t mean cash of that amount is sitting there. Because your expenses are also covering with this money. How much and what all expenses your income need to cover should be noted on a day-to-day basis. You might need to think about when to do a purchase, or how much to spend on your business. A basic understanding of income and expense is an essential factor proper bookkeeping. Variable expenses are unpredictable expenses for your business. Monitor your expenses closely and rectify the one that comes in an irregular or varied pattern. List them, so that next time the similar scenario doesn’t repeat or at least you can expect and plan for the same. For example, you are a vegetable store owner and you buy vegetables for your store on a daily basis. One day the goods provider didn’t come and you went to collect vegetables by yourself in your vehicle. So now that transportation charge is an unexpected expense. You should make a deeper view on variable expense until you are comfortable with the behavior. At month end, you need to make sure that you have noted all your income, expense, sale, profit and loss. Continue doing this from month to month and analyze it carefully. After 5-6 months you will be able to handle upcoming months from a financial perspective. You can also keep an eye on your ads, campaigns, new projects, operational changes and more to see how it’s impacting sales. You can either manage your books by yourself or hire a bookkeeper. It’s very important to know money flows through your business. It will give you an idea about where you are, where to reach and what is the limiting as well as promoting factors in your business. Having a solid decision-making data will definitely help you to lead with success.